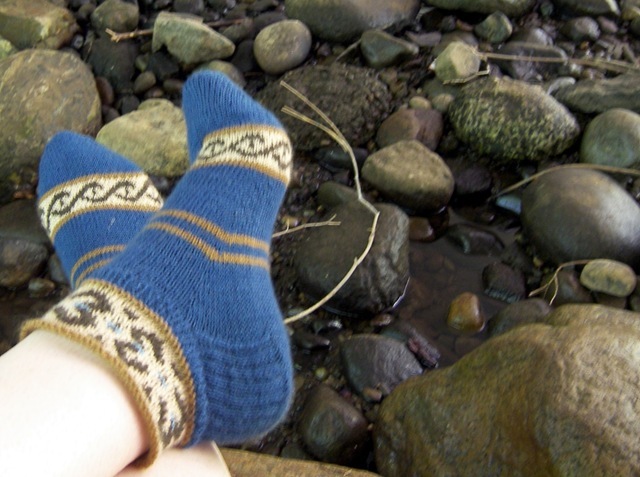 I absolutely love these socks. 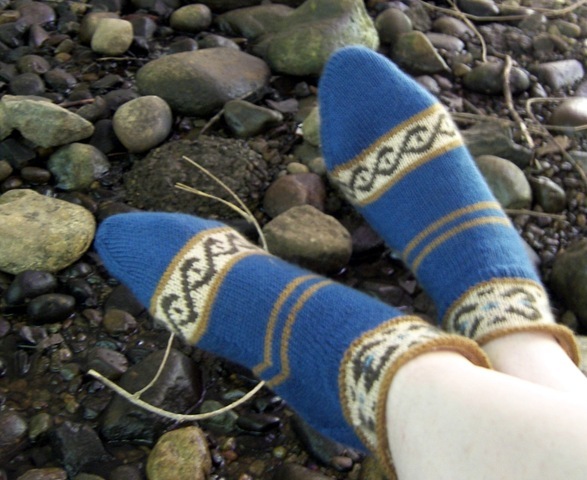 I have been looking for some anklets to knit! 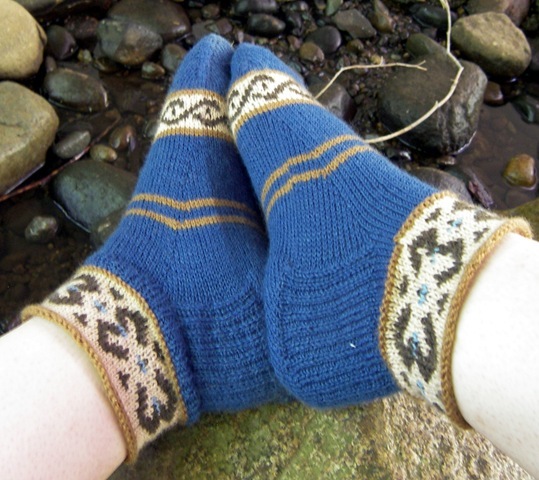 I am still a newby-knitter. 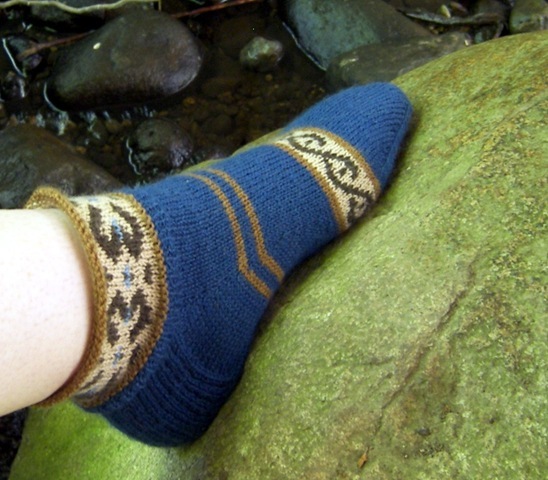 Is there a version of the pattern that describes the sock *construction* only, without the (admittedly beautiful, but totally intimidating) color-patterning? If you don’t want to have to buy the book, though, you can follow my instructions, but work all in one color and skip the needle changes. 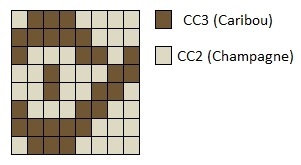 Example: for the toe, instead of the 9 rows of the chart on size 2, work 9 rows of St st on size 0 needles. 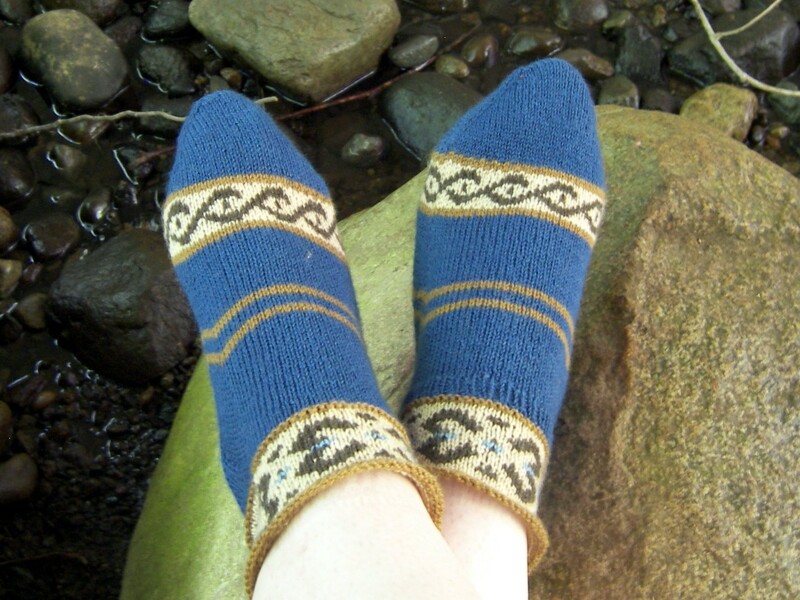 I aspire to colorwork one day ;-> And the patterning *is* beautiful on these – I love it. But I’m a lot better than I was when I started ;-> So I’ll get there eventually. 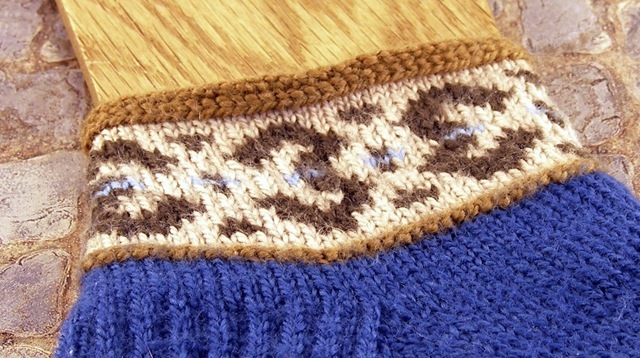 I’ve got the pattern de-fancified; keep an eye on the blog for the pattern soon!